NEW AND REPLACEMENT ROOFING SERVICES BRIGHTON. Whether it be a minor repair to your roof, a strip, and re-tile or a completely new roof, with a multitude of colours in either clay or concrete tile to choose from, tiling to transform the look of your home has never been easier. Working across West Sussex and surrounding areas we can quickly and easily replace your existing roof tiles. 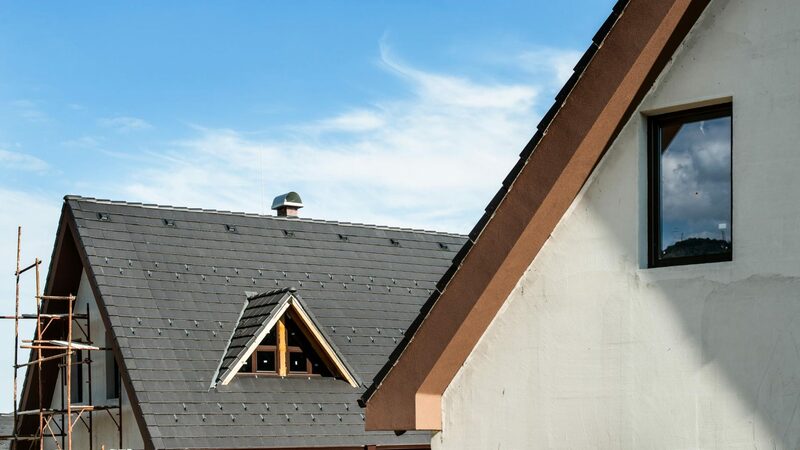 If you’re looking for a more modern look or synthetic slate can be used on your roof. This safe, durable and attractive roof material does everything you could every ask of a roof, plus it’s long lasting and straight forward to maintain. With modern advances, it’s also now available in either natural or synthetic. We provide you with the ideal flat roofing solution to cater for your budget. Our team will discuss the requirements you need not only from a aesthetic point of view but from a technical point of view. This can be key in that we have over 10 years roofing focused experience. This added technical knowledge and hands on experience can help provide you with a flat roof that will not only look great but could also last in excess of 25 years. If not installed correctly, flat roofs can have a short life span. We are experts in installing flat roofs that will look great as well as last. We can offer a same day service locally for any roof repairs such as slipped tiles, broken slates, or damaged felt and chimney leaks. Need a roof repair urgently? We can promptly attend to your home or business and carry out any immediate roof repairs. We do not charge a call out fee so make your roof safe and avoid any additional damage to your roof. We are available 24 hours a day to attend your emergency roof repairs. HardiePlank cladding is becoming the most popular type of cladding in the uk. protecting and beautifying more homes from coast to coast. Hardie Plank is a cement fibre plank that is maintenance free and made to last through extreme weather conditions, with a range of colours and styles to choose from it’s the perfect way to modernise and protect your house, extension or dorma.